Picture taken end of July 2006. Location our front garden in Lincolnshire. 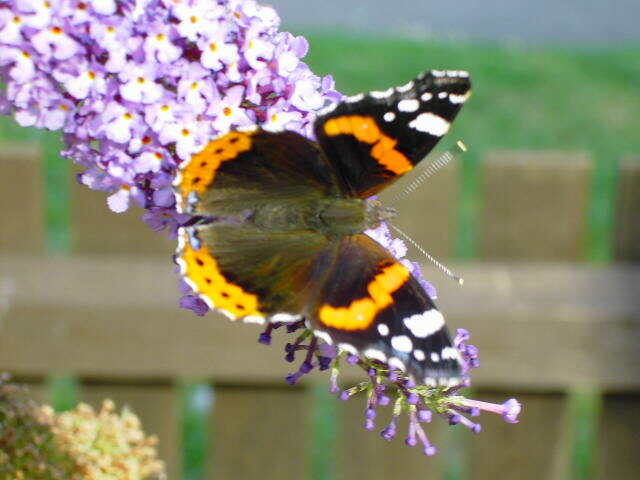 We have several medium size butterfly bushes in the garden, I likes them as they attract lots of butterflies. Image of Red Admiral on Butterfly Bush.